A comeback, break up album – what could be better for the record buying Americana fan? Ryan Adams, the quintessential wounded troubadour, back ‘on form’ with a searing examination of a highly personal life event. Surely this is cause for celebration but in the name of good taste a muted one as we empathise with our poet songsmith? Well yes and perhaps more pertinently no. This is a bright shiny production with some strong songs and Adam’s voice sounding in fine fettle but songs such as Doomsday and the opener Do You Still Love Me have a very eighties feel to the sound which make the record sometimes feel soulless. To Be Without You is perfectly pleasant but lacks the aching, yearning quality of earlier work. These were the qualities that spoke to the inner touchstones the Adams’ early work helped build – the Heartbreaker, The Chelsea Hotel dweller. Maybe it’s the echo applied to the voice on many tracks. The recent Live at Carnegie Hall had a vocal quality that gripped with each song – old or new. The album highlights are Breakdown and Shiver and Shake which would fit into anyone’s Adams top twenty. Fragile and dreamy, muscular and epic, introspective and vital. 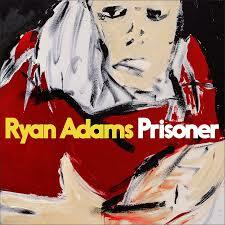 There is a Springsteen keeping with the production and perhaps that’s what Adams is now aiming for. Breakdown would be even more wonderful just voice and wood. A great album by anyone’s standards but not quite his best. And a comeback? For some of us he never went away!